Stanley Mouse’s nouveau-tribal-psychedelic graphic-style virtually defined the art surrounding American rock music in the 1960’s and 1970’s. 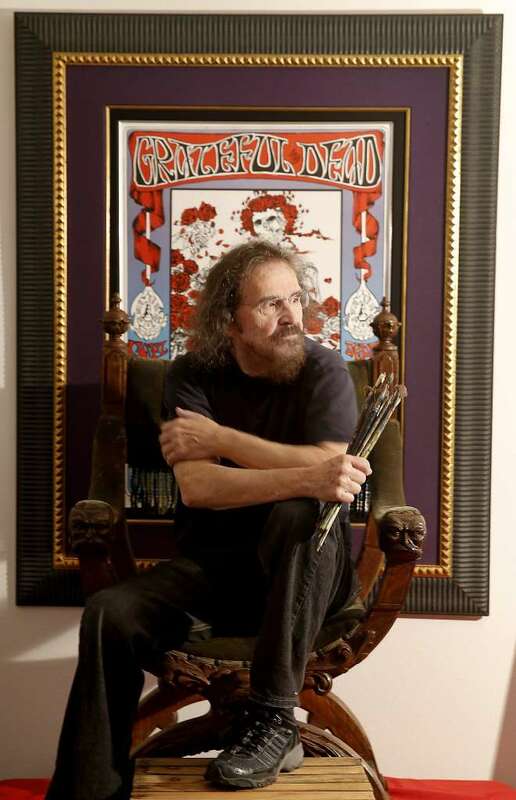 A seminal member of the counterculture scene that blossomed in the Haight-Ashbury district of San Francisco in the late 60’s, Mouse, along with his art partner Alton Kelley, created now-classic posters advertising dance concerts at the Avalon Ballroom and Bill Graham’s Fillmore Auditorium, including those of the Grateful Dead, Big Brother and the Holding Company, Quicksilver Messenger Service, Jefferson Airplane, and Jimi Hendrix. Arriving on the scene as “a kid from Detroit in Bermuda shorts” who first made a name for himself airbrushing “monster cars” on t-shirts at hot rod shows, Mouse credits the trans-formative aura of the the time and place with his own personal and artistic growth. What’s more, as a backstage regular in early days of rock’s legendary stars, he’s got some great stories: like the time the band Big Brother and the Holding Company, who often rehearsed in Mouse’s studio, auditioned a new singer named Janis Joplin. “The police came to our door and said someone had reported hearing a woman screaming,” Mouse muses. And the rest, like the Mouse images now hanging in venues like the Hermitage in Russia and the New York Museum of Modern Art, is history. The image was originally created by Stanley Mouse as pen & ink on illustration board. Mr. Mouse who, referring to the maquette, drew by hand the 2 separate plates from which this edition was pulled. “Matrix” by Stanley Mouse was printed at S2 Editions, Ltd. Atelier in 2003 on a vintage Dufa flat bed press.